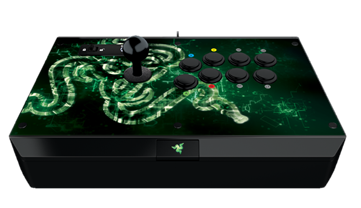 LAS VEGAS (EVO 2014) – Razer™, a world leader in connected devices and software for gamers, today unveiled the Razer Atrox Arcade Stick for Xbox One™ at The Evolution Championship Series (EVO) 2014, the world’s largest fighting game tournament. Tested by some of the world’s best eSports athletes, the new console controller is customizable and constructed with modders and competitive gamers in mind. Razer is building on the success of the original Razer Atrox Arcade Stick for the Xbox 360®, applying many years of collective gaming experience from pro gamers and the Razer community. 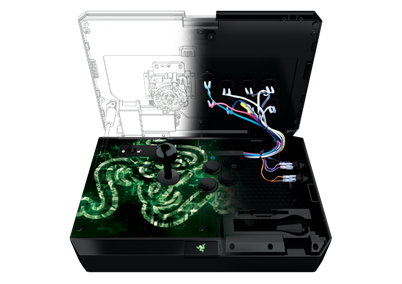 Some of the world’s best eSports athletes who beta tested the Razer Atrox Arcade Stick for Xbox One will be participating in EVO 2014, including Team Razer member Xian, the event’s defending champion. 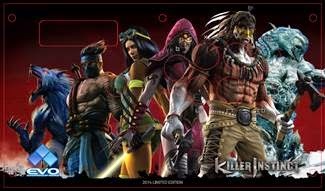 Additionally, Razer partnered with Microsoft to design a limited edition faceplate for Killer Instinct – the exclusive launch title for the Xbox One, which is being showcased at EVO 2014. The Razer Atrox Arcade Stick for Xbox One is the definitive Arcade Stick for tournament-grade gaming. It features eight genuine Sanwa™ Denshi buttons and an ergonomically authentic arcade layout. The inside of the platform opens up at the touch of a button, making it a breeze to customize for all tastes and play styles. Users are able to swap in their own personal designs for a unique look and feel by way of a honeycomb structure that allows for easy customization of internal components. Dedicated slots inside the controller can be used to store the included alternate bat-top joystick, detachable USB cable and bundled screwdriver that can be used for easy modding. Arcade gaming has come a long way since its glory days– a nostalgic era whose sensibilities are woven into the fabric of contemporary gaming innovation and culture. Hours spent at the arcade honed the gamer in you. For every coin you inserted, every combo you executed, every hit you took and every ultra you unleashed in return, you became a better player. This is the approach we took when designing the Razer Atrox Arcade Stick.